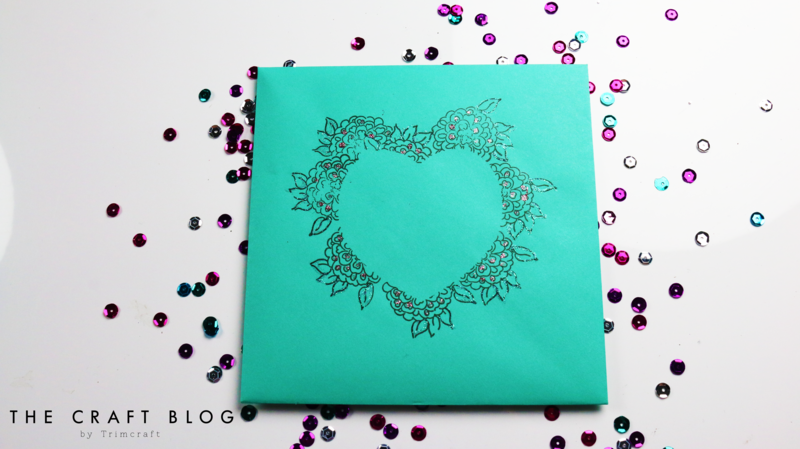 This clear stamp design is so pretty and will really excite your loved ones to open their handmade card! You could use other stamps to achieve this look like the Dovecraft Wooden Stamps! These butterflies and floral designs will really add a wonderful, detailed look to your envelope. Why not experiment with shapes? Simply cut out a template and get stamping! The Dovecraft Glitter Glue selection is perfect for adding that extra sparkle to this project. Even adding a small amount to certain areas on the design will make the envelope that more inviting! You could add strips of Dovecraft Washi Tape to the bottom of your envelope to add a classy touch! Or you could die cut your chosen shapes to the front of the envelope and add a coloured sheet inside your envelope to make it really pop. How will you use this pretty technique? We would love to see so don’t forget to share your makes in the Inspiration area and to #trimcraft when uploading to social media.